Although incredibly rapid growth greeted the introduction of smartphones, smart speakers, iPads and a passel of internet-of-things items, it has been a rocky road for virtual reality products. Sales of virtual reality headsets really hit the dumper in 2018, affecting everything else. A report says 8 million VR and augmented reality headsets and glasses were sold last year, down from 10 million the year before. But things will be looking up. A report from Juniper Research predicts there will be more than 100 million mobile VR devices by 2023, up from just 52 million by the end of 2019. If there is cheap, good VR mobile content, Juniper says, that will push users to try other VR platforms. Sales of VR games will reach $8.2 billion by 2023, which will be quite a leap from the sales of $1.9 billion this year. That growth is predicated on consumer acceptance of smartphone VR content. But this is a long road. Juniper says 2023 will be year that VR content revenues from games, multimedia, gambling and other streams will surpass hardware revenues, and it suggested that VR headset makers partner up to increase their VR content libraries to get ready for the uptick in sales. 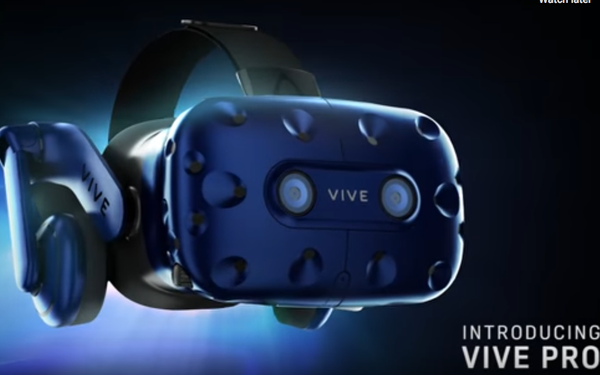 Some VR equipment manufacturers say the 2018 downturn in sales was more a case of surprisingly strong sales in the first part of the year, leading to a shortage-triggered slump in the second half. But that seems to be a less-than-reality-based view of the market. Unlike Juniper, CCS seems to believe the smartphone market isn’t as important as the still-nascent stand-alone VR headset market. CCS says demand for VR headsets will increase 16-fold by 2022, when 29 million VR headsets will be sold, it predicts. Another market watcher, International Data Corporation, says worldwide spending on augmented and virtual reality products will reach $20.4 billion by 2022 -- a nearly 69% increase over 2018. IDC thinks ultimately consumer uses will be the biggest share of the AR/VR tech field, but uses by businesses -- particularly local and state governments -- will be the biggest percentage gainers.